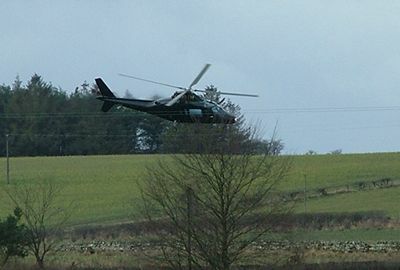 Northumberland Helicopters Landing in Barrasford - What Do You Think? Helicopters Landing In Barrasford - What Do You Think? Residents of the village of Barrasford in Northumberland UK are divided in their opinions about the Elwood helicopter facility on their doorstep. In a poll on Barrasford.net over the passed year a staggering 78% of voters have expressed displeasure at the frequent helicopter flights over Barrasford. In contrast, the supporters of the long standing helipad state the fact that the amenity operates legally and has no real drawbacks. For a number of years the previously tranquil village has been subjected to hundreds of helicopter flights in and out of Barrasford. No public consultation took place prior to the facility opening for business. Noise Pollution - The Elwood helicopter facility allegedly receives multiple flights each week which could frighten the elderly due to the fact that their is never any prior warning about the noise levels. Helicopters often fly close to the local primary school, this could affect the education of local children and may cause worry to parents. 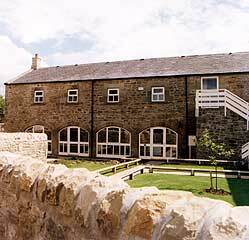 Environmental Issues - The noise from the Elwood Helicopter facility in Barrasford is alleged to disturb the peace and tranquility one would expect from a village situated a few miles from the Northumberland National Park and Hadrians Wall. Safety Concerns - The volume of aviation traffic could pose a safety risk. The chance of an incident involving a helicopter is at its greatest when helicopters take off and land. There is however no fire protection or public safety plan in place should a serious event ever occur. The Elwood Helicopter facility in Barrasford may store aviation fuel. The nearest fire stations are located over seven miles away at Hexham and Bellingham. No Community Benefits - The Elwood Helicopter facility does not employ anyone or inject any benefit in to the local community. Another resident contacted Barrasford.net to say he was "'sick to the teeth' with that blessed airborne nuisance" and has urged someone to begin a petition against it. Other residents have expressed concern that this could have a negative impact on property prices. Despite the protests, not all Barrasford residents are against the Elwood helicopter facility. Those in favor of the unique rural amenity cite the fact that businesses, the military and even VIP's are believed to use the Elwood helicopter landing pad on a regular basis. Supporters also state that helicopter noise is minimal in contrast to low flying military aircraft that have flown throughout Tynedale for decades. The noise from blasting at Barrasford Quarry is loud. The facility operates legally and puts Barrasford on the map, at least for helicopter enthusiasts. No doubt the controversy behind the scheme will continue. What do you think? Contact us with your views on this emotive subject. If you have a story, photograph or any other information to add please contact us.